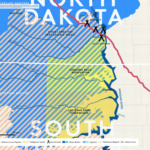 Amid protest, the Dakota Access Pipeline (DAPL) opened last week, funneling 450,000 barrels of oil daily from North Dakota to southern Illinois. 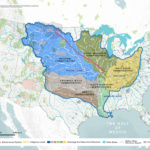 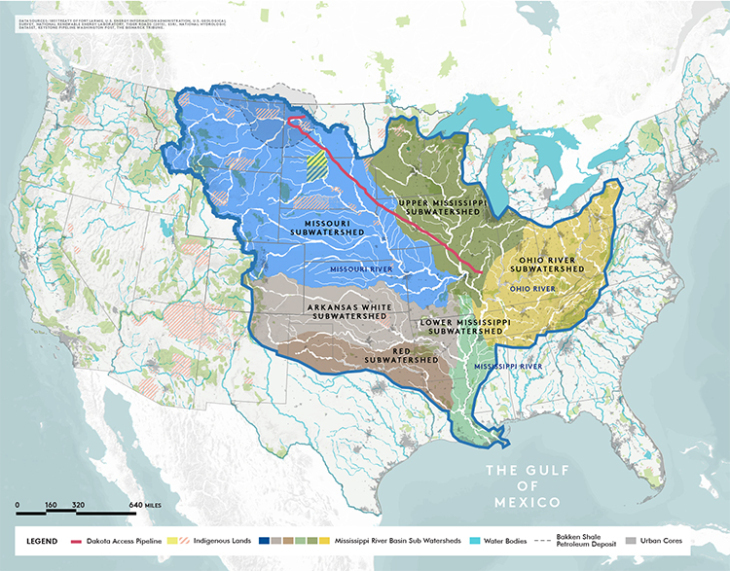 Over a distance equal to the drive between New York and Kansas City, its 1,172 miles traverse Native American reservations and private land, multiple watersheds, and skirt large cities. 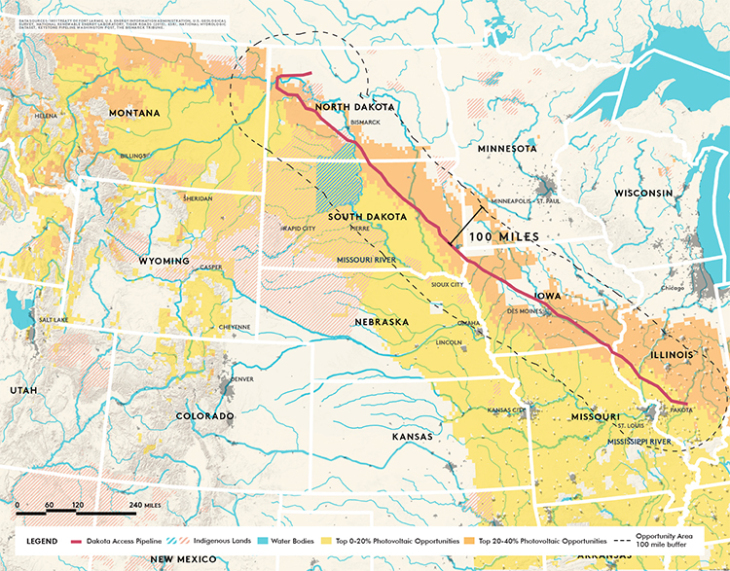 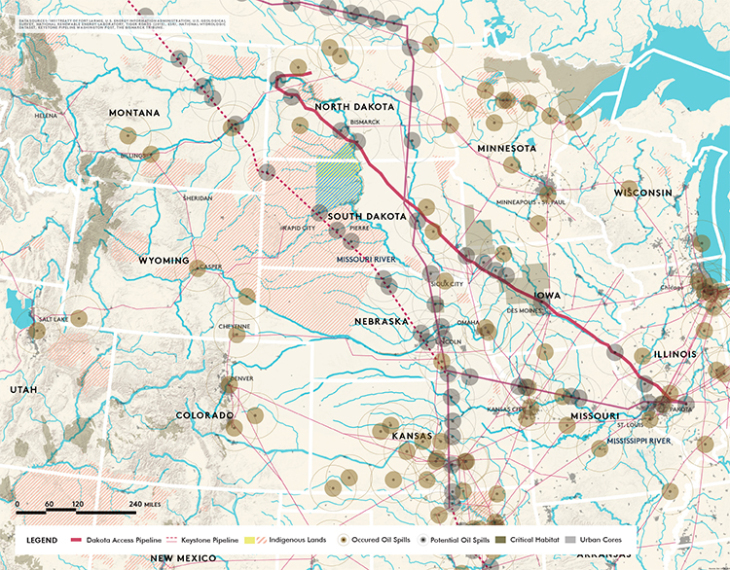 An anonymous cohort of designers, working under the name Alma and Friends, is mapping the effects and missed opportunities surrounding the $3.8 billion pipeline. 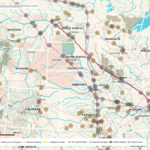 The group built the maps on their own time (more than 200 hours of it) using GIS data. 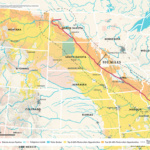 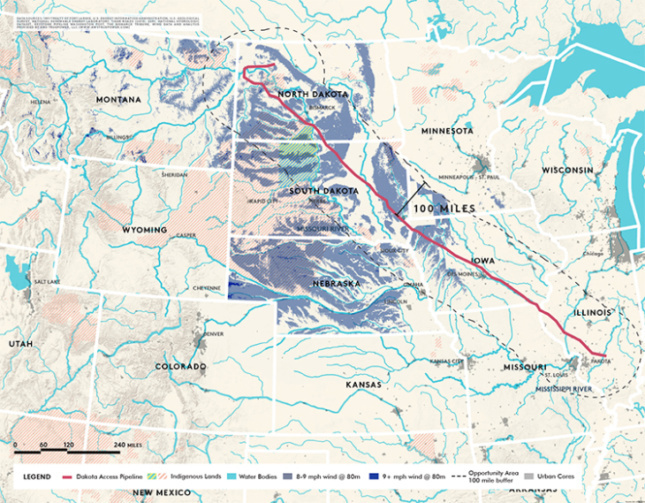 Richly detailed, the maps depict indigenous land, nucleated human settlement, watersheds, and sites of past and potential future oil spills (from May 2016 to May 2017, there were 745 oil spills in North Dakota). 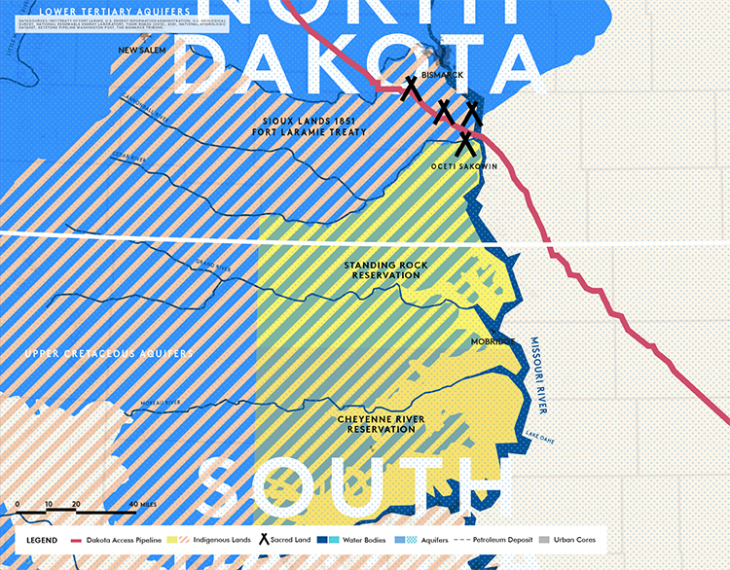 Los Angeles–based public television station KCET is running a series on the impact of the DAPL, where users can interact with the maps.